You have a strong personality and you can be very passionate. You are loving but can sometimes become aggressive. You crave excitement and change and enjoy taking on new challenges. You want to experience as many things in life as you possibly can. Whilst you can be optimistic, you can also be impulsive and restless. You can be flamboyant so people and socializing are important to you. You are someone who feels young at heart and you enjoy being the center of attention and increasing your popularity. You really enjoy being part of a group and earning the respect of others means a great deal to you. You also enjoy taking on challenges because you are curious and fearless in the face of adversity. If yellow is your favorite color, then you are more imaginative than you give yourself credit and yet you also have a strong, logical mind. You like order and hate when things are chaotic or thrown into disarray. You are sensible, courageous, and bold. You are not afraid to speak your own mind when the time arises. You enjoy organizing and have a creative streak and fun sense of humor. If green is the color for you, then this reflects that you are an optimistic, loving and kind person. Your safety and security are very important to you and you are someone who frequently does kind gestures for others. You are very undemanding, modest and patient. You have a calm and soothing aura, even if at times you can be passionate. Try not to allow yourself to be taken advantage of and stand up more for your beliefs, your sincerity will see you through most situations. You are an inquisitive individual who wants to acquire a deep understanding about the world around you. You are conscientious in all you turn your hand to and you keep searching for answers and want your life to have a sense of peace overall. Your ideals and beliefs are very important to you and you can be stubborn but you always want to please others, especially your family and friends. You are faithful and caring and you desire stability in life. If you are drawn to the color indigo, then you are someone who craves stability and emotional balance. You are extremely aware emotionally and although you can struggle to find an emotional balance for yourself, you are always seeking to improve yourself spiritually. You are intuitive and kind. Purple or violet are both deep colors which reflects your strength of personality. You are a perfectionist who likes order. You have a calming influence on those around you, even though beneath the surface, you can be extremely passionate about things. You want to help others in life and you have a deep spiritual side. You are certainly artistic and sensitive in nature. If you like the color pink then you are a loving, kind and gentle person. You often worry about the little things and you can be quite an anxious and fragile person at times. You often struggle to make decisions and have a tendency to over-analyze situations, but you have a strength and belief in yourself that can surpass many other peoples. You are determined and wear your heart on your sleeve. You crave security and affection above all else. You are an original thinker who loves balance and harmony in life and you don’t like change. You are someone who is not afraid to express their thoughts, ideas and dreams. You are courageous and will always stand up for a family member or friend in need. You are bold and know your own mind. However, sometimes you shy away from confrontation or challenges that are outside of your comfort zone, but remember that you can achieve things and that change is sometimes a necessary hurdle we all have to face head on. If magenta is your favorite color then you are clearly not a shy individual! You are a non-conformist who breaks the rules and knows their own mind and heart. You can be stubborn and set in your ways so sometimes try to be more flexible and open minded. However, your confidence and bold sense of humor often see you through the most difficult of situations. You have an intriguing laugh and smile that captivate others. You radiate strength and confidence. Your friends and family feel relaxed around you and you can light up a room when you enter it. However, inside you are more complex than this and sometimes you can struggle with making decision. But overall, you know your own mind and strengths which always see you through difficult times. You are very intuitive and can be a real people-person. You enjoy social occasions and events and love nothing more than chatting and sharing stories with friends. You possess a sharp, keen mind and whilst you can be shy at times, you have an inner wit that you should bring out more in social situations. If black is your favorite color then you possess an air of mystery and a need for power. You are someone who wants to protect themselves emotionally from others but you should develop the capability to open up more. You can shy away from expressing yourself and often keep ideas and emotions bottled up. You want to protect yourself and those around you but try not to hide your personality under your layers of mystery. If white is your favorite color, then this shows that you are a highly independent individual. You are very self-sufficient and know your own mind. You could develop your self-confidence even more but you are in charge of your own life and the direction it is heading in. You enjoy simple pleasures but you possess a sharp eye and keen wit which helps you drive your life forwards on the path you want to follow. If brown is the color for you then you are a dependable and reliable person. You value your family and friends above all else, and certainly above any material possessions. You are generous and kind and you always remember where you came from. You long to feel comfortable and secure in life and believe that your home is a sacred place. You want the simple things in life and you hate when things get complicated. You are strong and capable of overcoming adversity due to your patient nature. You are an extremely reliable person who can be quite conservative in your views and in expressing and articulating yourself. You tend to shy away from confrontations and don’t like change. You would far rather be seen in the background and not heard so that you don’t get noticed. However, this means you sometimes don’t get credit when you have worked hard so don’t just shy away but try to speak up for your beliefs more, after all your opinion counts too. I hope you have enjoyed reading what your favorite color says about you. 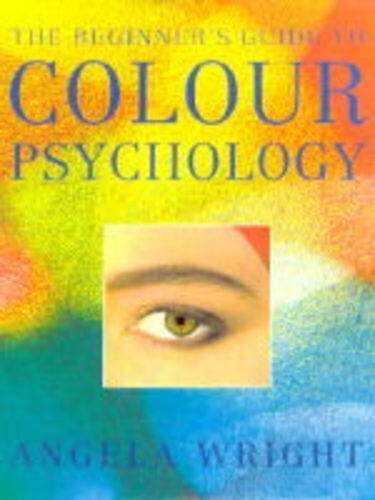 Remember this is only for fun but we have to admit, our color perception does certainly play a huge part in terms of our emotional responses to it and this can be in everyday life from the colors we choose to wear to the feelings we have when we see bright colors in nature all around us. 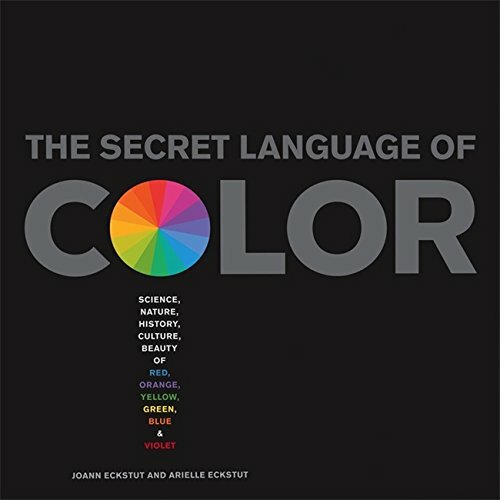 Color Psychology is an area you could explore more if you are interested in doing so. Comment below on what you thought about your color reading, was it highly inaccurate or a true reflection of your personality type? Just for fun, why not try the color personality quiz below from You Tube channel ‘Daily Broccoli’. Great article. I love all of the pictures of different things for each color! (BTW, My favorite color is Purple.) I have loved purple ever since I was a little kid. I always thought it was the most beautiful color and when I was a kid I asked my parents to get a purple car. They didn't. Oh well.